The village of Angleur is located south-east of the town of Liege on the E25 motorway. From the motorway E25/A26 which runs between Maastricht and the Ardennes, turn off at junction 38 and head into Angleur. 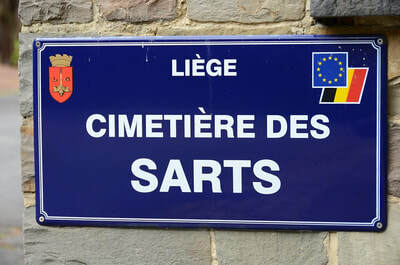 Follow the signs to the Universite Sart-Tilman along route du Condroz, turn left off this road into rue de la Belle Jardiniere and the cemetery is along on the right. 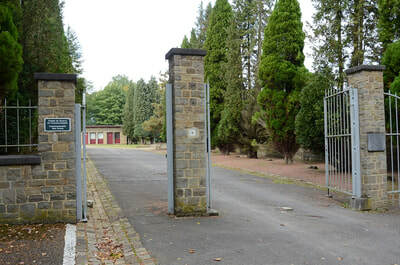 The war grave is located in the northern part of the cemetery close to the old entrance. From the new entrance pass along the main path towards the building. Turn right towards the old entrance then take the right hand of the three paths. Continue along this path and then take the 18th path on the right. The war grave is the 4th grave on the right. 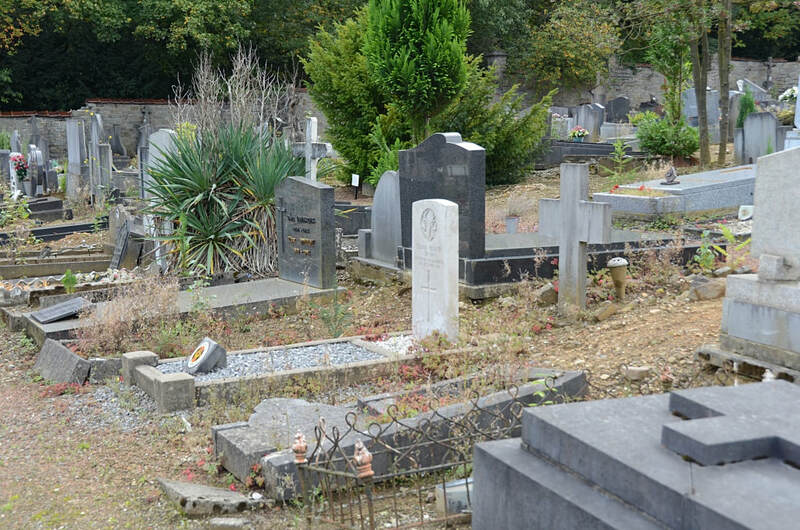 Angleur Communal Cemetery contains one Commonwealth burial of the First World War. S/25965 Private J. 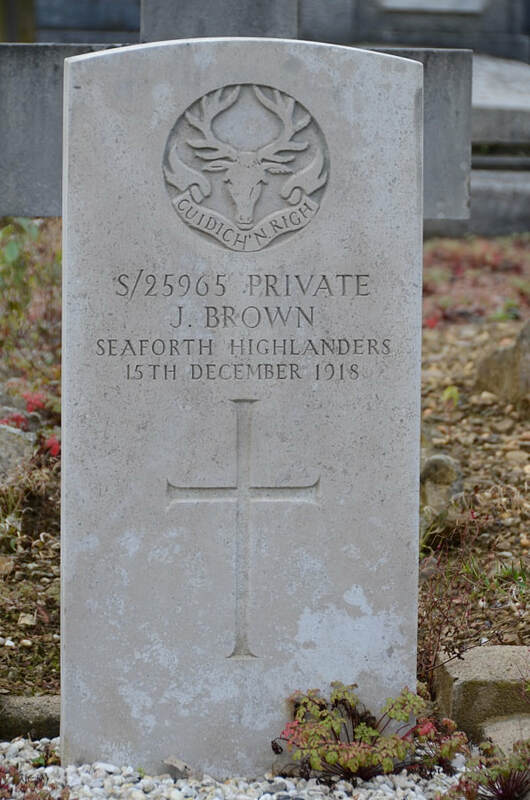 Brown, 7th Bn. Seaforth Highlanders, died 15th December 1918.